Last week and two weeks ago, we began presenting the story of three related families who longed to fulfill the Zionist idea in the Land of Israel: The Feinbergs, the Belkinds and the Hankins. This new series of articles will feature photos of these families, whose story is the story of the renewed Land of Israel more than 100 years ago. The photos were taken from the album of Tamar Eshel, the daughter of Tzila Feinberg. 1. 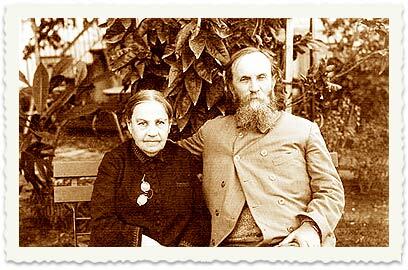 Yehuda Leib Hankin (born 1842) and his wife Sarah, Jews from Kremenchug, Russia. Yehuda would lease agricultural farms and manage them economically. They were an enthusiastic Zionist family. Their children were: Yaakov, Yehoshua, Mendel, Tanhum, Rivka, Haya, Hanna, Table and Rosa. In 1882, anti-Semitic pogroms ("Suffot BaNegev") broke out in Russia, and Yehuda and his entire family decided to immigrate to Israel. They were among the first to purchase the lands of Ayun Kara (Rishon Lezion). In the photo taken in 1904, from the right: Haya, Rivka, Yehoshua, Rosa, Tanhum and Rosa. 2. Yehoshua Hankin, 1904. Yehoshua was one of the greatest liberators of the Land of Israel for the establishment of the renewed Jewish settlement. 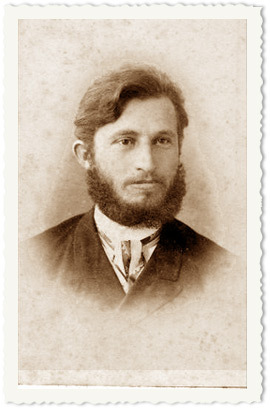 His knowledge in this field was received from his father Yehuda Leib, who engaged in similar activities while in Russia. In 1890, Yehoshua worked to purchase 2,500 acres of the lands of Duran, where the city of Rehovot is now located. In total, more than 148,262 acres purchased by Yehoshua were used for the establishment of the Jewish settlement in the Land of Israel. 3. Olga (Belkind) and Yehoshua Hankin in Geneva, 1901. 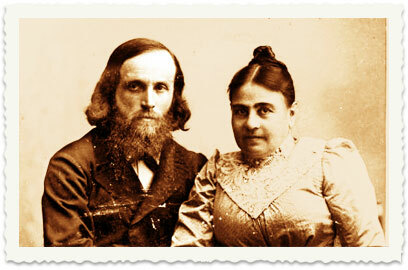 Olga and Yehoshua married in 1887. Olga was 14 years older than Yehoshua and usually used to hide her age. She convinced Yehoshua to grow a beard and long hair in order to look older. 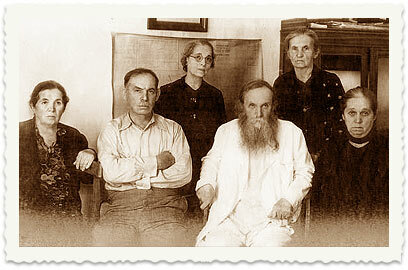 Olga was the driving force behind Yehoshua in his dedication to the redemption of the land. The couple had no children. 4. 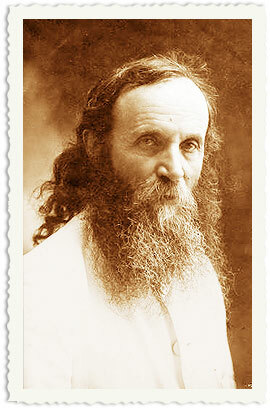 Yehoshua's brother, Tanhum Hankin. 5. Emmanuel King, the son of Yehoshua's sister Rosa, in Berlin, August 1916. 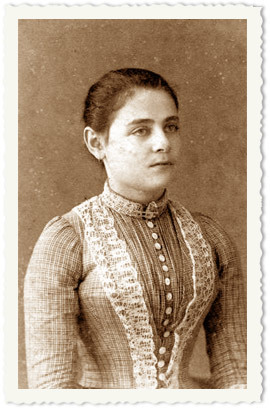 Tzila Feinberg was at the time a student in Berlin and used to visit her aunt Rosa. When Emmanuel grew up he immigrated to Israel, lived in Jerusalem and was killed in the bombardments on the city in 1948. 6. Mendel Hankin in his 30s. His wife was Sonia Belkind. 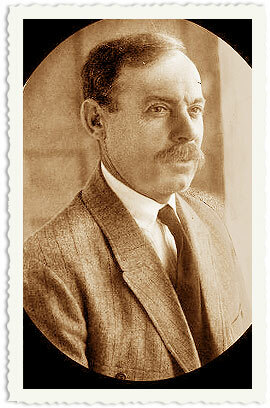 Mendel was a citrus grower and one of the founders of the credit bank. They lived comfortably and would pamper all the family's young members. Sonia would say, "The children should be spoilt because they are facing difficult times and will always be able to return to the beautiful memories and draw strength from them." 7. Sonia in Israel before leaving for her medical studies in Switzerland, 1895. Sonia was the first woman to travel from Israel to study medicine. Upon her return, she was one of the two female doctors in the country. In Geneva she formed relationships with Prof. Chaim Weizmann and psychologist Carl Jung. During World War I, Sonia and Mendel were expelled to Damascus following the Nili affair. Sonia was never called Hankin and kept her maiden name. She also had disregard for the formal matrimony ceremony and lived without holy matrimony for many years. She agreed to officially marry only many years later due to considerations of wills and property. 8. The house on 8 Allenby St. It was built by Sonia and Mendel, who lived on the top floor. Yehoshua and Olga lived on the bottom floor, and in a smaller apartment nearby lived Duba Belkind and her daughter Ahsa. 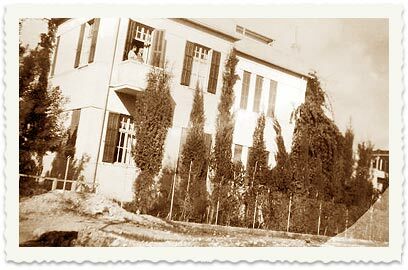 The house had a particularly large garden, where the first grass in Israel was grown, and a hammock was hanged under the trees. They used to sit under the garden trees and drink afternoon tea, or crack sunflower seeds. 9. 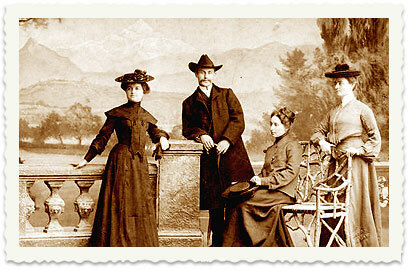 Sonia (R) while studying medicine in Geneva with her student friends in 1903. 10. Yehoshua and Olga used to rest at the garden of the house on 105 Allenby St., as long as they could. Photo taken in 1930. 11. 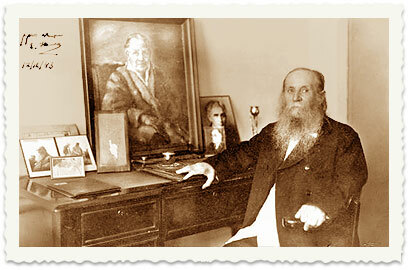 Yehoshua at his home, December 1943. Olga passed away at the beginning of the year. Photo: Soskin. 12. Yehoshua died in 1946. 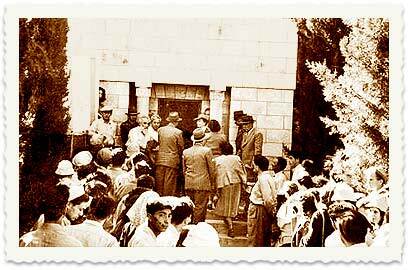 Photo shows the funeral at the tomb Yehoshua built for his wife and himself on Mount Gilboa, near a house where he had planned to live. The place has been renewed and now serves as a memorial for Yehoshua and Olga's work. 13. On the first anniversary of Yehoshua Hankin's death near his grave on Mount Gilboa. 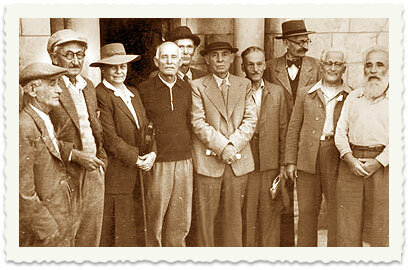 From the right: Seadia Paz, Avraham Herzfeld, Nahum Vilbosh, an unidentified person, Tanhum Hankin, Eliyahu Krause, Shoshana Vilbosh, Lavi (Ein Harod), and another unidentified person. Nahum Vilbosh (Vilboshevitz) was born in 1879 near Grodeno, where his family owned an estate. 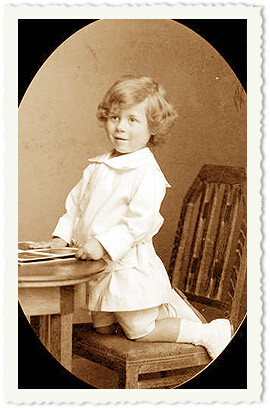 He studied mechanical engineering and immigrated to Israel in 1903. He was a member of a delegation which studies the possibility of Jews settling in Uganda, and his recommendations to the rejection of the idea. He was one of the first Hebrew industrialists in Israel. He spent a short while in jail on suspicion of being linked to the Nili espionage network (Avshalom Feinberg was his brother-in-law). Nahum was married to Shoshana Feinberg, and his sister was Mania Shochat. 14. Purim 1916. 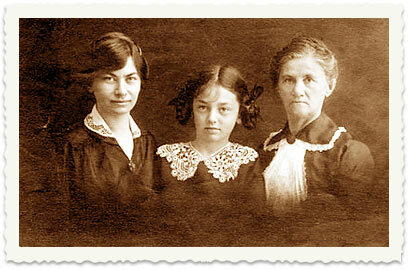 Grandmother Fanny, mother Shoshana and granddaughter Zohara, all wearing lace. 15. 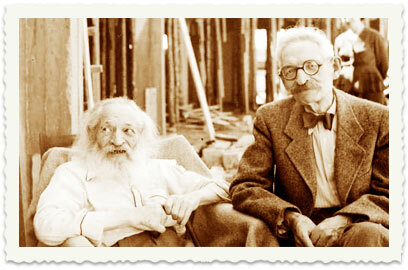 Nahum with his eldest brother Moshe, who invented the margarine production process and the production of whole-wheat bread from sprouts. Nahum passed away in 1971, at the age of 92, and was buried in Hadera. See all talkbacks "Feinberg family: Back to first days of Zionism – part 3"